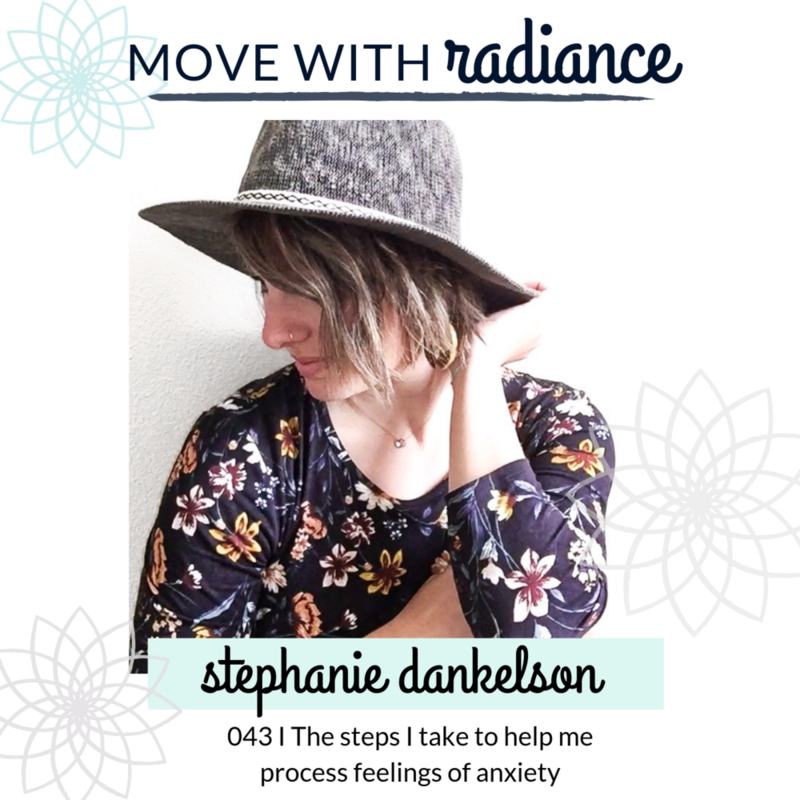 Welcome to the Move With Radiance Podcast with Stephanie Dankelson. Move With Radiance is all about redefining your relationship to exercise, food, and your body by learning how to first redefine the relationship with yourself. Are you ready to discover your inner truth? Your inner radiance? Because we all deserve to feel at home in our bodies. This week on the podcast I am bringing you a solo episode all about the steps I take when anxiety or overwhelm or stress shows up. “Stress is not allowed here. It is bad, wrong, and needs to be fixed” This was the story I had created for myself for as long as I can remember. And as soon as I felt that uncomfortable sensation, I did everything possible to get rid of it. I didn’t know how to feel it, I didn’t want to feel it so I avoided it all together. And I am learning I am not alone in this. So many of us have a negative relationship to stress and overwhelm. We either focus too much on the thoughts that created those sensations in the first place or we avoid the anxiety/stress completely… either by numbing out on something or obsessively trying to control our external world. Anything to feel better. Anything to not feel the overwhelm. But the funny thing is in order to feel better, we need to feel.. Which many of us have stopped doing or don’t know how to do anymore. Which is why I wanted to share the following steps to help you get out of your head, back into your body, and actually allow the emotion to be released. If you try any of this let me know how it lands for you and I hope you enjoy this episode.